Borussia Dortmund centre-back Marc Bartra has emerged as a surprise target for Manchester United ahead of the summer transfer window. 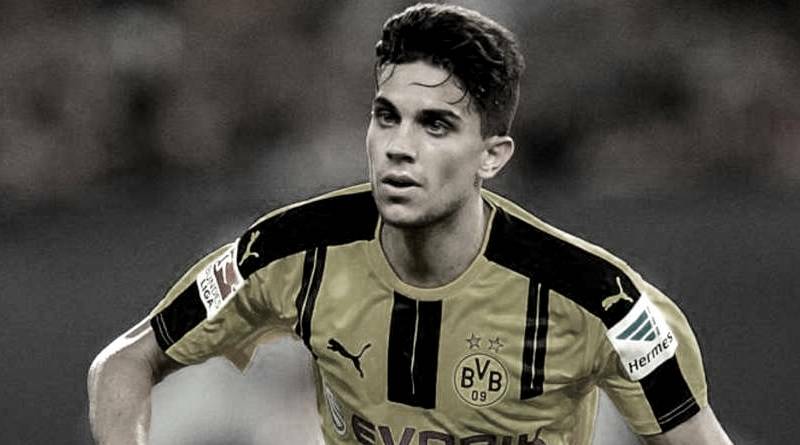 According to the football transfer rumours in German Media (Fan Lexikon), Manchester United are interested in Borussia Dortmund centre-back Marc Bartra. The Spain international was signed by Borussia Dortmund in July 2016 from Barcelona for a fee of 8 million euros. The 26-year-old has a valid contract with BVB 09 until June 2020. The 26-year-old has played 31 times for Borussia Dortmund since signing from Barcelona, scoring one goal and creating four assists in that time. The Spain international has been in outstanding form for BVB 09 this season. Marc Bartra has represented Spain at Under-18, Under-19, Under-20 and Under-21 level, winning 38 caps and scoring two goals, before making his senior international debut in November 2013. As a member of Spain national football team, Marc Bartra has won 12 caps. Jose Mourinho wants to sign an other centre-back this summer and Marc Bartra is one of the names at the top of his wishlist. Marc Bartra has been long term target of Jose Mourinho as the manager look to bolster his defensive options for the next season. Manchester United manager wants to continue to strengthening his squad so they’re able to compete both domestically and in the Champions League next season. Manchester United are desperate to make an impact in this summer transfer window. The centre-back can also play as a right-back, offering Jose Mourinho a different option should he change his formation at Manchester United. Borussia Dortmund are not in a position where they need to sell and would like to keep hold of the centre-back, but the right offer may force the club to consider a deal.